Remote and inhospitable, the Antipodes Islands are located in sub-antarctic waters south of New Zealand. Island Conservation Project Director Richard Griffiths describes his vision of the Antipodes and why he is excited to help protect them. My personal image of the Antipodes Islands, derived from photographs but recolored by my imagination, is a windswept tussock landscape encircled by a dark and foreboding coastline. Duped by this superficial impression, I might wonder why anyone would go to such lengths to preserve such a place. However, a little more information sharpens the focus of the mind’s eye and when I look again, a little closer this time, I begin to see small splashes of white and gray amidst the tussocks that take the form of stately Antipodean Albatross. Larger patches of white and black closer to the coast coalesce into rowdy colonies of Erect Crested and Southern Rock-hopper Penguins. Looking closer again, I see flashes of iridescent green shifting between the tussocks as Antipodean and Reischek Parakeets seek out seeds and vegetation. Equally striking but blending in with their surroundings, Snipe and Pipits peck and probe amongst the vegetation that on closer inspection not only includes tussocks but all manner of low growing herbs, ferns and other plants. Strange invertebrates found nowhere else on earth recycle nutrients left by the island’s seabirds. At night, strange noises give away the presence of White-chinned Petrels coming into their burrows. Recovering and protecting Earth’s wild places such as the Antipodes Islands, even if I am not one of the lucky ones that get to see them, is of vital importance to me. As the influence of people on the earth grows and the evidence of our impact becomes ever more apparent, so too does the importance of places that can just be. Knowing there are some ecosystems functioning as they once did gives me hope that we can restore balance. Thus I was thrilled when the New Zealand Department of Conservation (NZ DOC) invited Island Conservation to assist with the implementation of a project to remove invasive mice from the Antipodes Islands. Mice are an invasive species that threaten the island’s unique flora and fauna and the only introduced mammalian pest species on the Antipodes. Island Conservation will provide some financial support to the project as well as deploy two of its experienced field staff to assist with the project’s implementation. My role as part of Island Conservation’s team supporting the project is to review operational planning and provide advice based on my own experience of eradication projects from NZ and overseas. 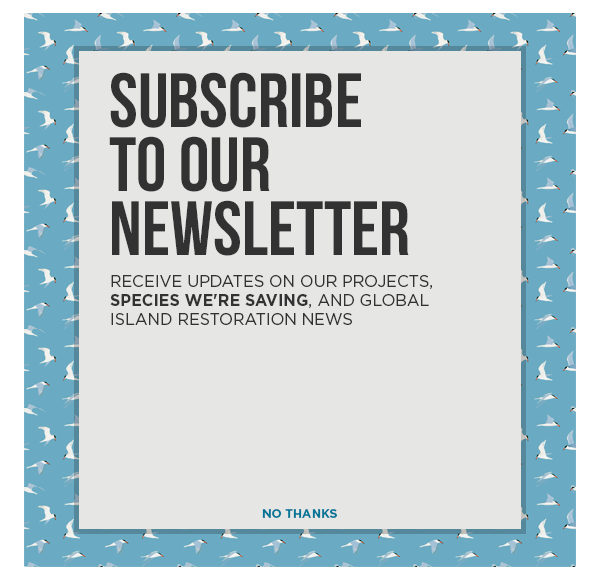 The NZ DOC has supported a number of island restoration project’s led by Island Conservation so it is great to be able to give something back. I hope this is the first of many projects that we collaborate on. Learn more about the Antipodes restoration project here.